Vision 10 is on today; in this, probably the shortest of our blog entries so far (can you tell we’re busy? ), we’d just like to remind anyone interested in our one-on-one Lightroom and workflow training to hang on to the Vision 10 show guide. We have a Shoot Raw training voucher in the back of the guide worth considerably more than the cost of entry to the show. Use it to obtain a discount on personal tuition. 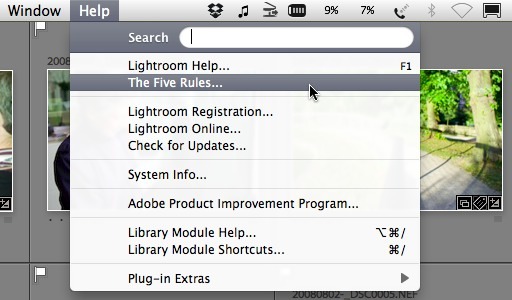 That’s it… More Lightroom tips and tricks to come when things quieten down. We’ve just added a contact form (click here) to allow you to tell us a bit more about yourself when you get in touch. 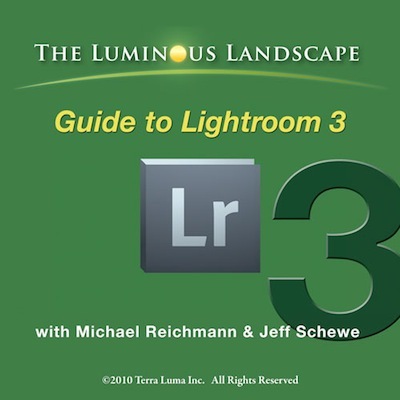 Generally, we find ourselves tending to ask photographers the same set of questions when we’re approached about Lightroom courses or general help with photographic workflow. Even if you decide to call rather than use the form, you might want to take a quick look at it first to know what we’re likely to ask. We’re also curious about the many people who read the site but whom we don’t hear from so we’ve included questions for you, too. Knowing more about readers should help us produce more useful content. One thing that’s important to note: although all the answer to each question is useful to us, every single question is optional. Say as much or as little as you want about yourself, or provide suggestions about the site. You can use the form as a way of providing contact details and some background so that we know something about you when we call or use the form anonymously, if you prefer. The choice is yours. If you do choose to leave your contact details, rest assured that we don’t share personal information with anyone else. Categories: Blog. Tags: Lightroom, Training. We’ve taught Lightroom to professionals and amateur photographers, in photo studios, homes and offices; mostly as personal tuition, with the odd class thrown in; mostly in and around London but with the odd visit to Birmingham and Brighton. Here are ten things we’ve learned. Whichever type you are, you’ll probably find the others a little puzzling; each group needs its own approach when training. To compare two or more selected photos, I hit the C key; I export pictures using shift-command-E. Dust spot removal? I hit the Q key. Graduated filters? M. If it has a keyboard shortcut, I’m on it. Some photographers do all those things using the mouse, by clicking icons and choosing items from the menus. It’s fairly easy these days to work out who’s who and mentally switch modes but, to be honest, it took quite a while to get there. Almost every button and menu entry has a keyboard shortcut equivalent in Lightroom but if you’re really on the fence about which method to make your own, there’s one thing that might sway you: in Lightroom, things jump about a bit in the menus as you move between Library and Develop. Keyboard shortcuts, however, are more consistent and getting more so with each release. For example, to copy your adjustments when you’re editing a picture, you go the Settings menu and choose Copy Settings. To do exactly the same thing when you’re browsing photos in the grid, you go to the Photo menu, choose Develop Settings and from that submenu, choose Copy Settings. That’s quite a difference to get used to if you use the mouse or a tablet but the keyboard shortcut, shift-command-C, never changes. If we first visit on a Monday and then deliver part two on Thursday, you’ll get much more out of it than with two consecutive days. 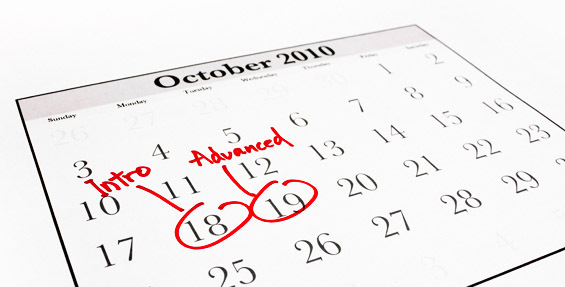 The same applies to two half-day sessions instead of a single day. One of the advantages of our one-to-one approach, where you learn on your own machine, using your own work, is that you can take up where we left off during the training, doing the things you’ve just learned. Lightroom and other applications are set up correctly, the images are where we left them, you can see all your modifications, keywords and settings. Keep working on your images between sessions, shoot and import more, list all your questions and we cover them next time. You’ll end up learning much more. There’s almost always a moment during the tuition when a photographer completely “gets” the power of local adjustments for the first time. For photographers who are just switching to shooting raw or who might not have used the camera raw plugin in Photoshop recently, it’s always an a-ha moment. For some, it’s a pleasant reminder of darkroom printing—a bit like burning in and dodging but much faster, much easier and completely reversible. Burned in an area too much? Hold down the option (alt) key, reduce flow and slowly dodge. Messed up completely? Click the adjustment pin, hit backspace and that particular adjustment is gone (and there’s even a puff of smoke). For others, it means an end to their main need for Photoshop. 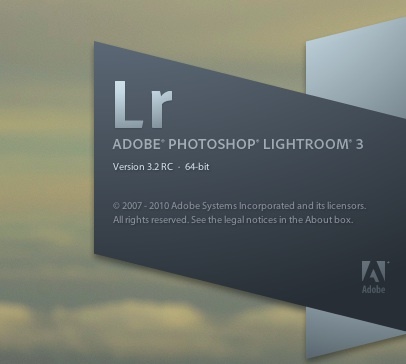 Has anyone out there tried to estimate the proportion of photographers who just hate using layers in Photoshop or who’ve never even tried them? If you’re reading this from the land of online photographic forums, you’re not going to believe that such a thing exists: a photographer who uses Photoshop without layers? Not only do they exist, there are plenty of them and they’ve been waiting for something that makes it this easy to adjust exposure, sharpness, saturation and contrast in selected areas of a picture non-destructively. And perhaps the most overlooked and underestimated tool is the graduated filter—it’s not just for darkening skies or corners. Although none of this is rocket science, the simple adjustments that have been made in photography since its early days still matter the most and Lightroom has them nailed; it’s not the app for putting one person’s head on another’s body or for removing a water tower from the background of a portrait… but you knew that already. A first-class print of a photograph that you made and which truly represents your intent is a very satisfying thing, even if you shoot stock or provide images for online use by your clients. High-quality prints will change the way you look at your work. 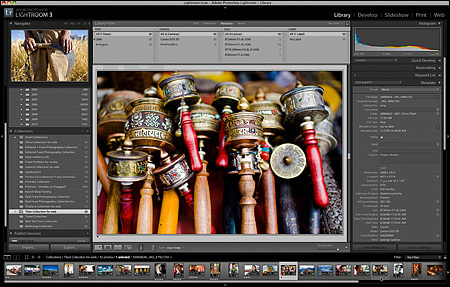 Printing is one of Lightroom’s clear strengths—a significant proportion of photographers will produce better prints from it than they have ever produced. Not because Lightroom is doing something unique but because it takes things that were previously difficult for many people and makes them easy enough to be unquestionably worth the effort of mastering. 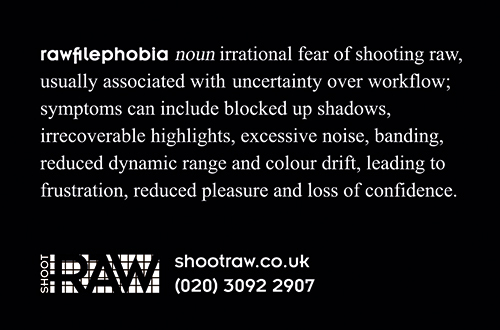 That means careful, non-destructive dodging and burning (no layers! ), non-destructive creative sharpening (no layers! ), increasing resolution very smartly with a single click (also known as uprezzing—not my favourite word—or upsizing), excellent control over print layout and colour management and one-click sharpening for print that’s suited to the size and type of output. It does a remarkably good job of all of it, considering its simplicity, and makes once-esoteric procedures very accessible. Sometimes we learn something from these ideas and sometimes, they’re a little eccentric and we have to shrug and smile. It sounds obvious but it’s easy to forget. We recently made exhibition prints of many photographers’ images for an exhibition at Four Corners Film gallery in Bethnal Green, East London. Most had earned the photographers a prize or commendation in a competition (we’ll keep the details for the next post) and the prints were produced using printers at Ravensbourne College. Thanks to the IT department at Ravensbourne, we were able to produce some of the final images for exhibition on a Canon imagePROGRAF iPF5000 (see Michael Reichmann’s review here). Speaking to a few people on the opening night of the exhibition, we noticed that one of the pictures named as a favourite with them came from a file that, unbeknown to viewers, was sent to the organisers as a tiny PNG with no more than one megapixel of information in it; with a little work, it became a 10″ x 12″ print on the gallery wall and, for some viewers, its mood gave it the edge over the technical excellence of others displayed near it. links for his new Lightroom 3 guide) but we’re no longer surprised if they remain untouched as the tuition sessions progress. 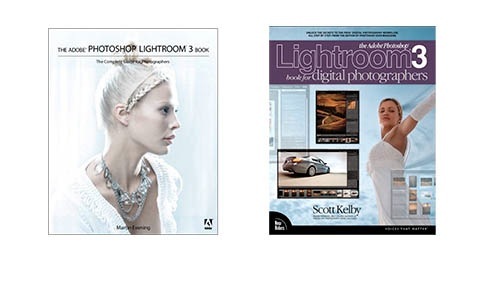 We’re also working on our own, minimal Lightroom workflow guide that’s mainly intended for our own customers. It’s based on what has proven to be important to the people we’ve trained. More news to come on that. 9. Different photographers will come to rely on very different aspects of an application, even one as narrowly focused as Lightroom. A working pro who shoots events for business clients often needs to turn a job around very quickly and even the slight delay you might see when you select an image and Lightroom builds a preview can be unacceptable—it doesn’t add a significant amount of extra time but it breaks the flow of picking, rating and rejecting images very quickly. (The solution is to tell Lightroom to build 1:1 previews on import and to store them; the photographer puts the kettle on and enjoys a quick cuppa while that’s done and after that, responses are very fast and the workflow is snappy.) For him, all that remains is keywording, a few quick corrections to white balance and exposure, a little cropping here and there (with lots of copying of development setting across pictures) and that’s it—the files are on a CD or uploaded to a website. A fine art photographer making prints, on the other hand, is sometimes trying to push each group of pixels to within an inch of its life and will constantly revisit an image, modifying local adjustments, comparing several virtual copies of a single image and switching on and off the various adjustment panels as she works. For her, tiny changes to saturation and hue in the HSL panel might make a world of difference. Both are photographers, both are using Lightroom (and often using the same type of camera—the Canon 5D Mk II is incredibly popular, if our clients so far are any indication) but in very different ways, each sometimes completely ignoring adjustment panels that are critical to the other. 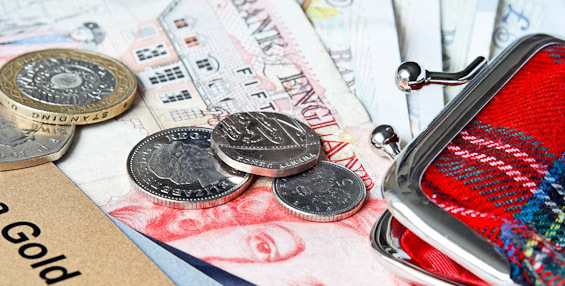 For that reason, the initial discussions with any potential customer of ours are important. For us, it helps to talk first to know where you are now with your workflow and where you hope to be and what, if anything, we can help with. Having spoken, we can also work out how to spend more time on things that will help get you there. For you, the photographer, it pays to talk to a few Lightroom trainers to find one who suits your style and your goals. If you’re interested in talking to us about Lightroom training, give us a call (0333 577 5703) or mail develop@shootraw.co.uk and we can discuss putting something together for you based on your own requirements. If you’d like future articles when we publish them, you can subscribe by e-mail. It’s free. For the sign-up page, click here. The service is run by Google and when you subscribe, you’ll get a message from them with a confirmation link that you have to click. We don’t share your e-mail addresses with anyone or spam you. There’s also RSS/Atom for the more technical among you. If you read this on the web page itself (rather than via email or RSS), you should see a new row of buttons, allowing you to share articles on social networking sites.